The MCM motor safety cable is made from high quality 316 stainless steel wire rope, stainless thimbles and shackles and 70mm stainless steel clip, and copper swages. The protective tubing is fuel resistant, UV stabilized and will not crack or go hard. 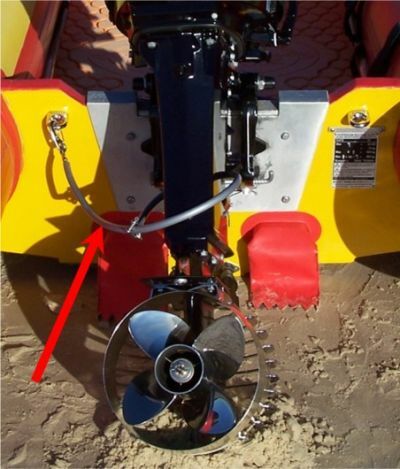 The motor safety cable is compulsory on any IRB carrying out surf rescue operations. 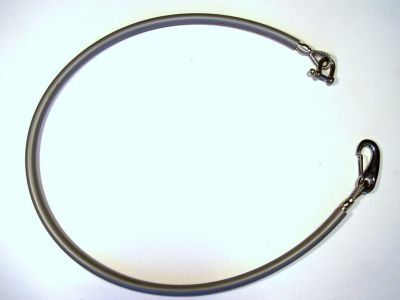 Length: 1 meter long with 70mm stainless steel snap hook and stainless steel shackle.